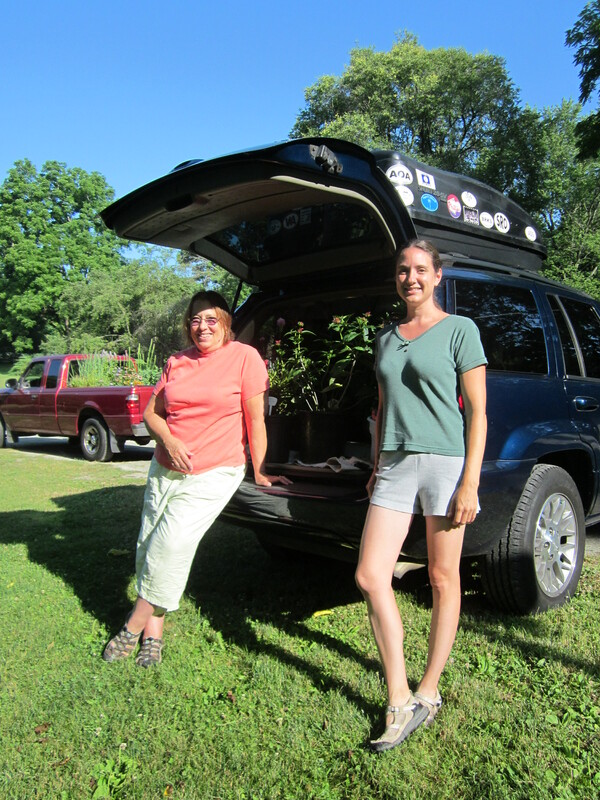 It’s the 4th of July and it is moving day for the plants that Taryn, Gail and Barb have all been babysitting for several months. 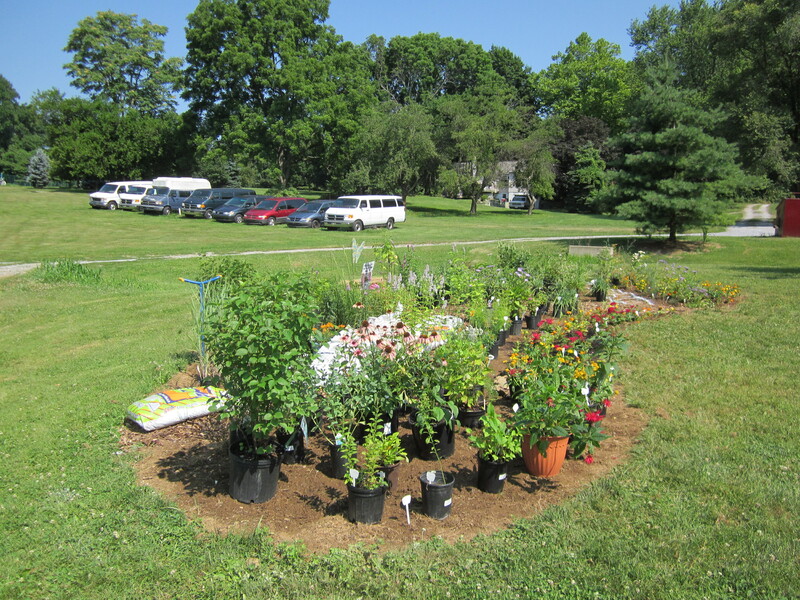 Next week we will hold the Session on Perennials and the following week we will do the Native Plants Session. Even though we got there by 8, it was already quite warm. We decided to lay everything out to match up to the revised design. This way we would see if everything fit into the garden and how the overall design looked in reality. 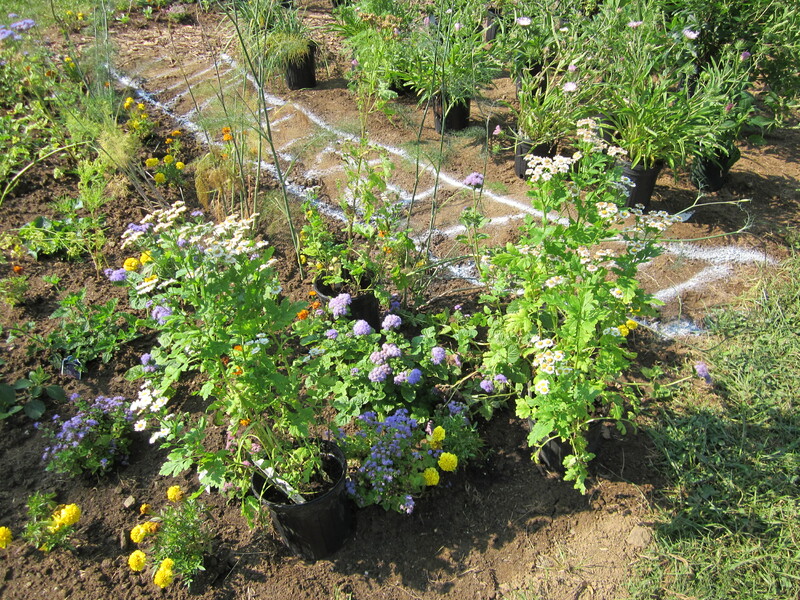 It will also make it easier on the instructors for the upcoming sessions to see where things will go when they get ready to plant. We think it looks great and from a distance it is amazing how the garden appears to be already planted and thriving. Our annuals, which got planted on the 2nd are adjusting well with the twice a day watering. And best of all, the butterflies were flitting from plant to plant as we looked at our almost finished project! 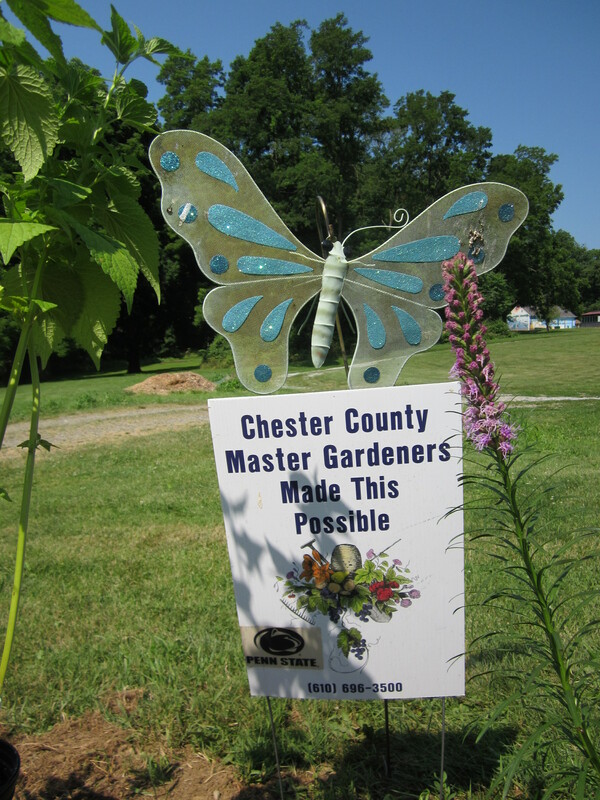 I am an apprentice Master Gardener with the Pennsylvania State University (PSU) Cooperative Extension Program. My local office is in Chester County. As part of my volunteer activity I am working with a team to develop a Butterfly Garden on the grounds of the Church of the Loving Shepherd. 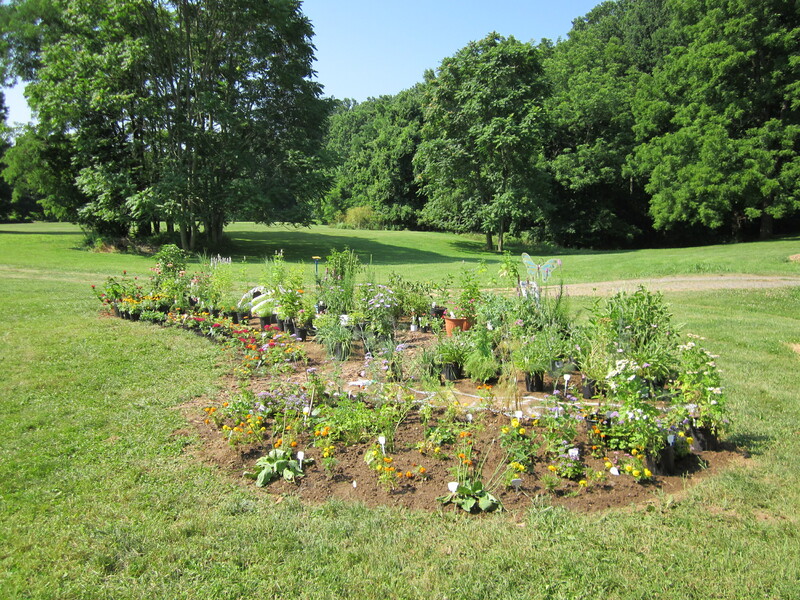 We will be using the creation of this garden as an educational program for some of the participants in the Bournelyf Special Camp which, is held every summer. 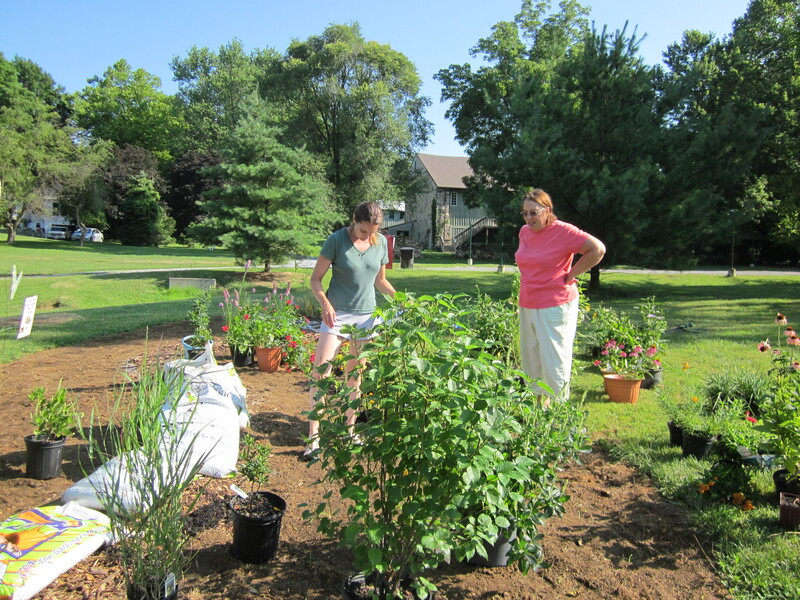 Members of the congregation of the church will be involved as well as in the ongoing maintenance of the garden.The purpose of this blog is to document the project as it develops. 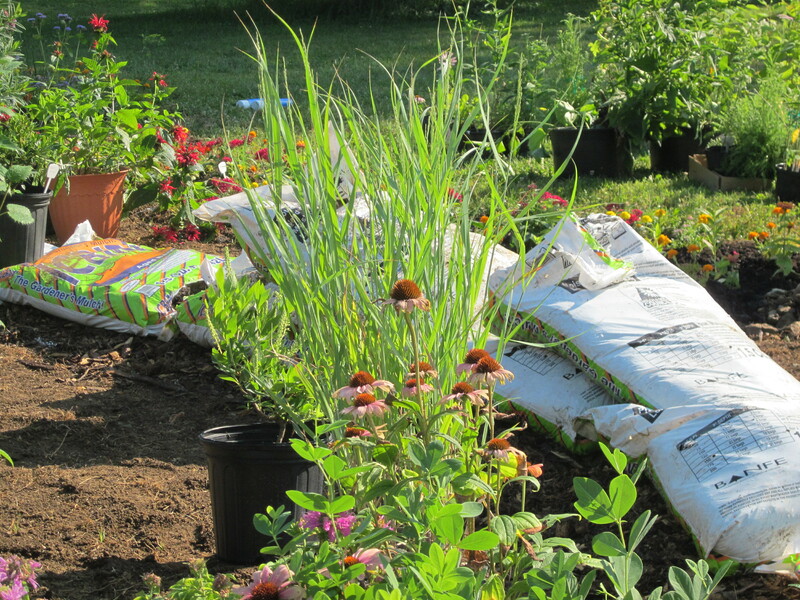 This entry was posted in Annuals, Butterflies, Native Plants, Perennials, Preparing the Site. Bookmark the permalink.